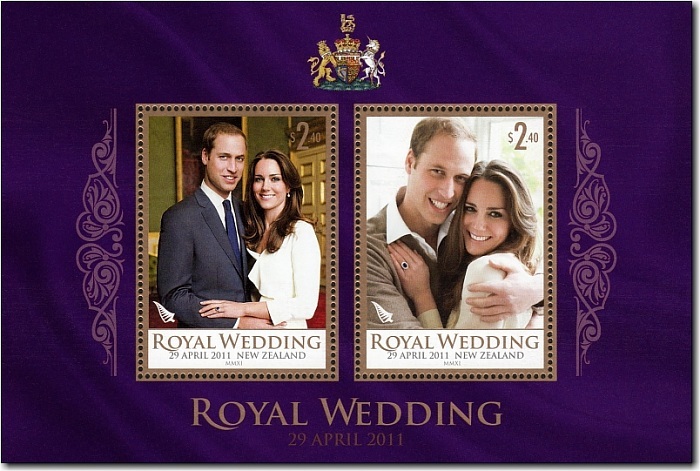 For millions of people around the world, 29 April 2011 was a day of jubilation. Hundreds of thousands lined the streets of London and television audiences globally tuned in to watch the much-anticipated wedding of His Royal Highness Prince William of Wales KG and Miss Catherine Middleton. The Royal wedding took place at the 1000-year-old Westminster Abbey – the coronation church since 1066 and the venue for 15 Royal weddings, including that of Queen Elizabeth II and the Duke of Edinburgh. Once married, the couple returned to Buckingham Palace where The Queen hosted a reception, followed by a private dinner hosted by The Prince of Wales. 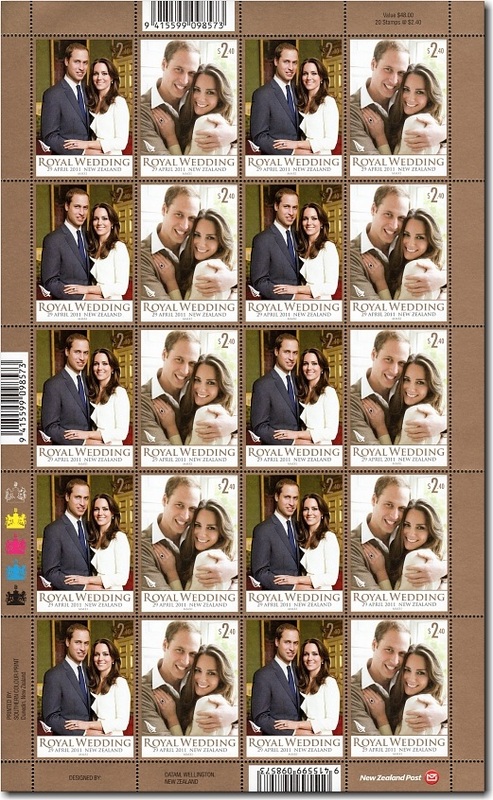 The greatly admired couple are captured beautifully on the se-tenant set of two oversized stamps (measuring 52mm x 37.5mm). Featuring a stunning metallic gold border, they portray William and Catherine in both a formal pose and an informal embrace. 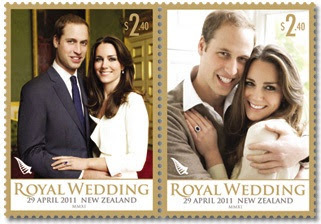 The denomination of both stamps is $2.40, which was the postage rate of a standard letter to the United Kingdom at that time. The stamps also appeared on a miniature sheet that also featured the Williams Coat of Arms. 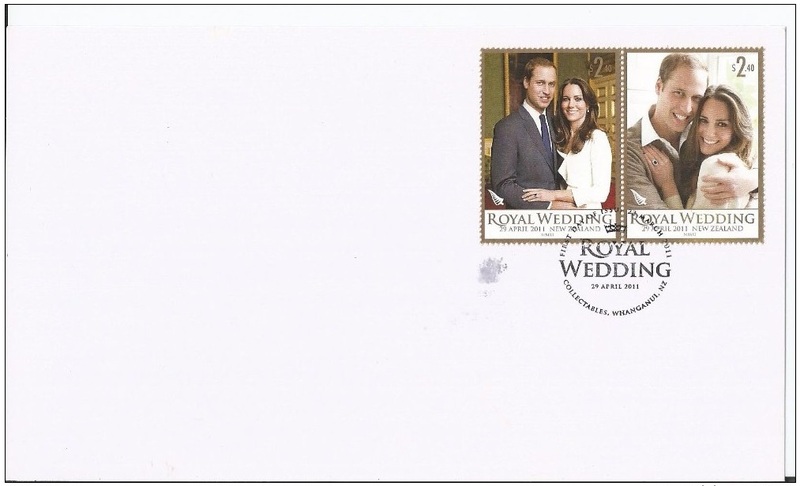 A plain cover with the first day of issue cancel. 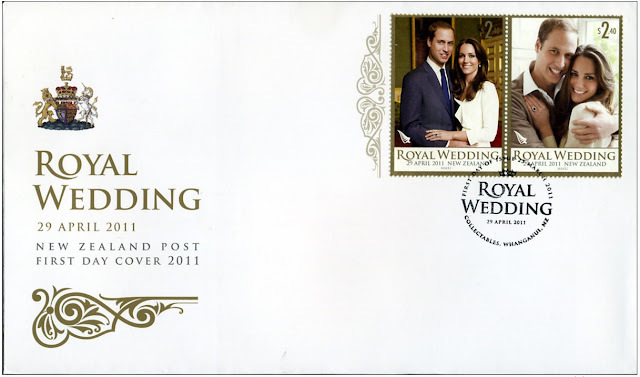 An official First Day Cover. A Special Cover with special first day cancel. 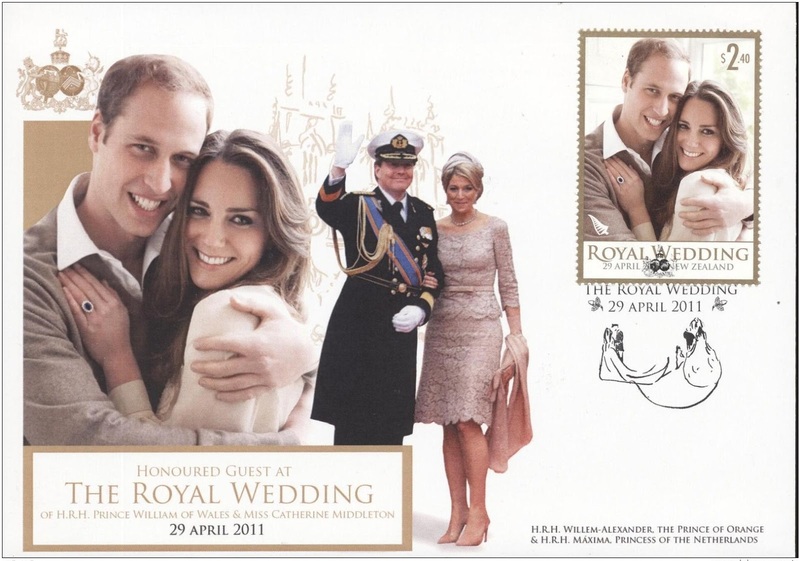 2011 Royal Wedding Full Sheet.